The fussy stage is slowly going away and we're enjoying the fact that he is interacting with people, having "conversations", watching things, entertaining himself. It's all so enjoyable! He is going through a bit of a mommy phase right now where he fusses when he realizes someone else besides me is holding him. It can be a bit frustrating, but I am trying to stay patient and soak it up while I can because I know one day he won't want me so much. 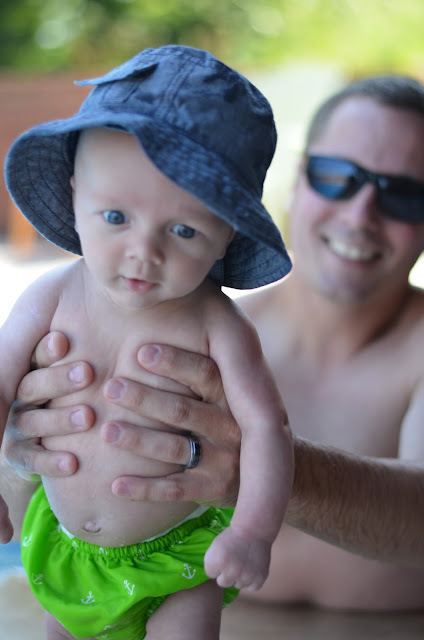 He loves the water which is great because he will be growing up on the lake! His daddy water skied by the time he was 4! He has started picking up his feet and "walking" when we stand him up, which makes me think he is going to skip crawling all together and go straight to walking. I'd be fine with it. Either way he is going to run me ragged I'm sure! We took him for a ride in his jogging stroller for the first time on Monday and he loved it! He was staring up at the sky and all the trees while we were running the trail. He is so aware and interested in his surroundings. Other than watching him I didn't enjoy it. Pushing a jogging stroller while running is completely different and something I'll have to get used to. Not using my arms feels so much harder. He's pushing about 9-11 hours of sleep a night... PRAISE THE LORD. Napping still isn't the best, but he's taking naps. He sleeps about 20 minutes every 1 1/2 hours. I wish it was two long naps throughout the day, but I'll take what I can get. I'll actually be sharing a post next week about how we established a nap routine. Overall, he has continued to capture our hearts since the moment we saw him. 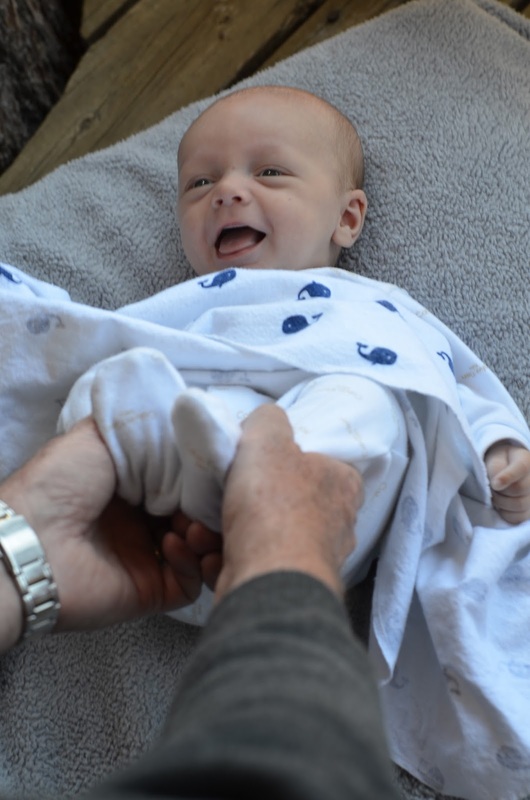 His grin melts my heart, his many faces make us laugh and his personality is just plain endearing. He's our angel baby! 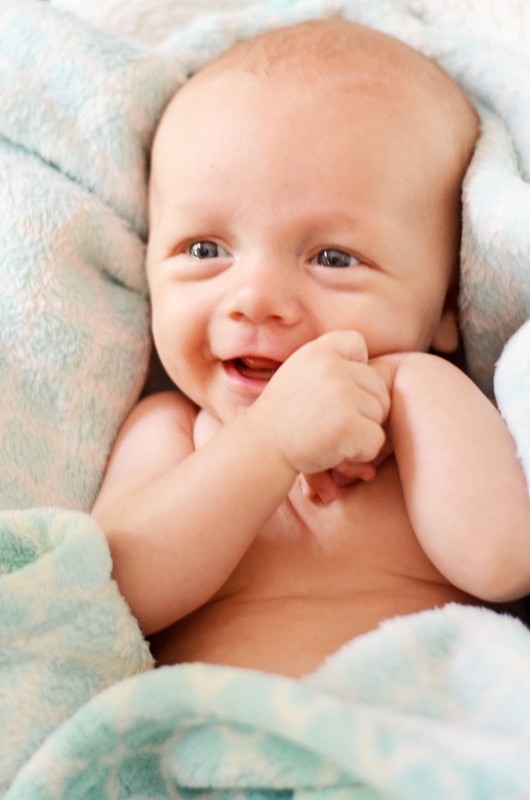 18 comments on "Maddox || Three Months Old"
His smiles are just so precious! Those pics of him all snuggly in that blanky <3 I would want to just snuggle him 24/7! He's growing up so quickly! And that smile--swoon. Looove the first picture!! so sweet! Such a sweet little face!! He's perfect! 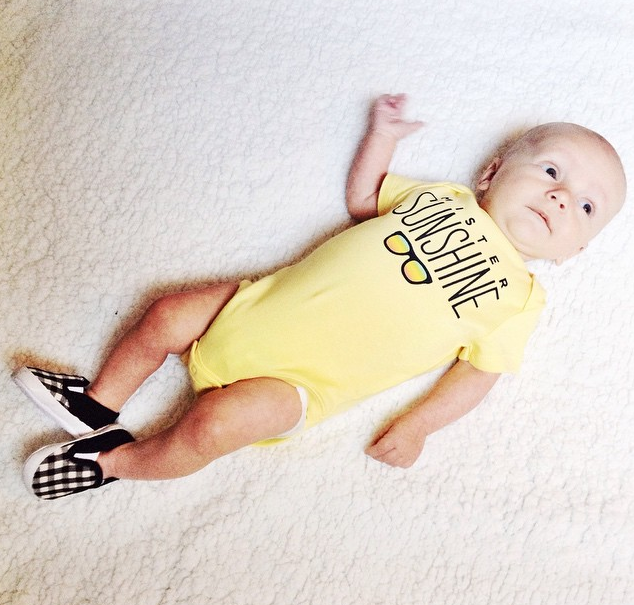 Mister Sunshine! <3 What a sweetheart! Wow, three months! He just keeps getting cuter and cuter! 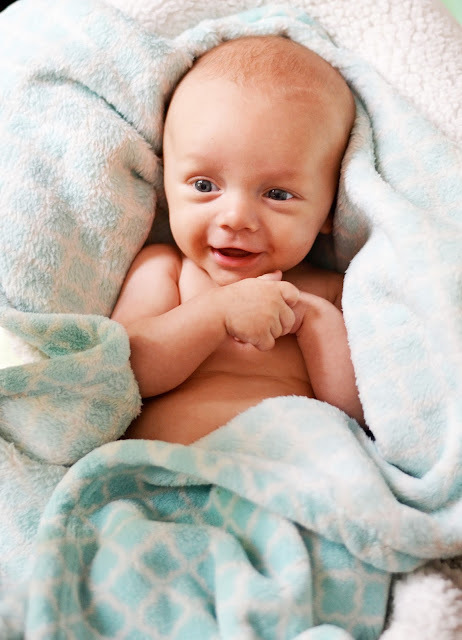 I can't believe he is already 3 months old! He is adorable! 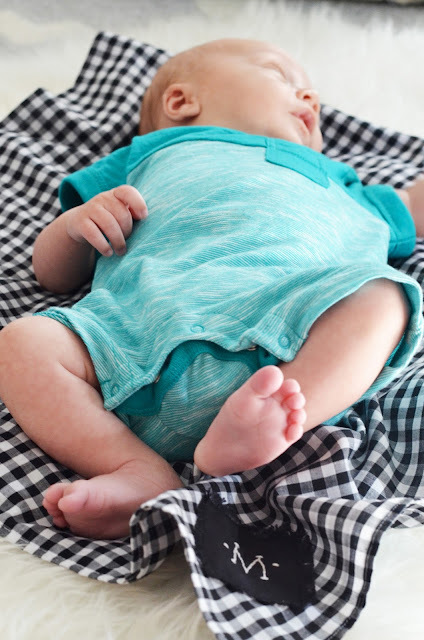 I have that Old Navy onesie for my little man as well! And crazy how quickly you have to change out the clothes, right? Both my kids didn't wear have their stuff bc three months flies by! so many sweet pictures. I bet you have thousands already. you've got a major cutie on your hands! Ah, he is just adorable! How sweet! And wow, 9-11 hours at night is nice! Is that straight through?